How cute is this?? 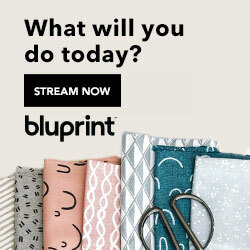 This diaper baby card SVG is perfect for a baby shower. You can add a gift card inside and it the folds keep it from falling out. 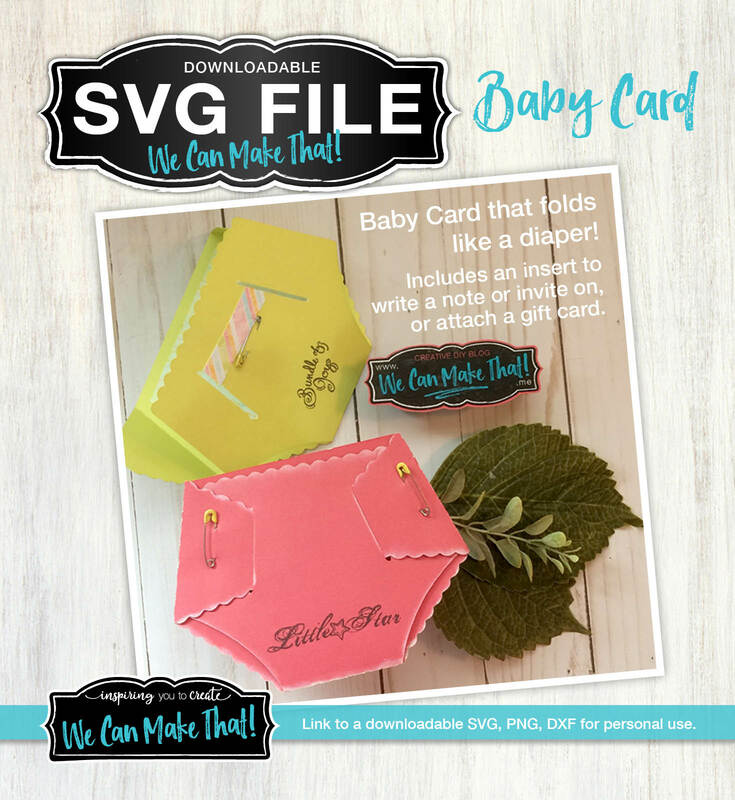 Diaper Baby Card SVG works great for baby shower invites too! This diaper baby card SVG is perfect for a baby invite because you can use the special insert to write the when, where and what right on each diaper baby card SVG. 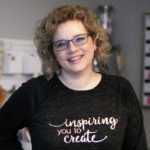 Check out more card ideas in my creative gallery page! 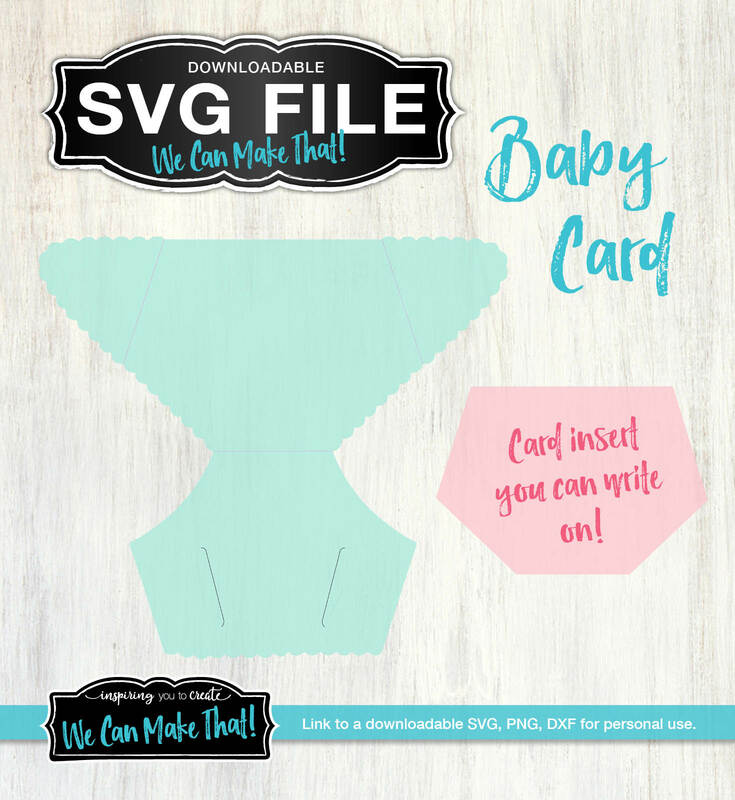 Download the diaper baby card SVG file and use it on your cutting machine. I used my diaper baby card SVG in Cricut Design Space.